Nanci Danison’s account of her 1994 NDE resonates for me, in part because she’s so articulate and handily puts into words what might be difficult for many of us. Also, she remembers an incredible amount of detail from her NDE, even after 20 years. Nanci, who lives in Ohio, can’t travel due to health reasons but it is my great hope to one day have her as a virtual speaker at a future OC IANDS meeting to which she’s already agreed. My challenge – there’s no wifi connection in the room where we meet. In the meantime, she has many videos posted on Youtube, and there’s this article she wrote a year ago for those missing deceased loved ones during the holiday season. The holiday season and year end naturally trigger our thoughts of loved ones near and far, including those who have passed on from human life. This year, why not try to communicate with deceased loved ones instead of just missing them. After-death communications are real. They have been documented not only in the popular book Hello From Heaven! by Bill and Judy Guggenheim, but also by a group of psychologists working in VA hospitals with PTSD patients. We can communicate with our loved ones in spirit form because they, and we, exist solely within Source’s mind. We are all characters/personalities Source has designed in its own mind as portals to experiences in the physical world. Though our primary purpose is fulfilled within physical life, we continue to live and experience what we call “the afterlife” after we have left it. More importantly, our love for those with whom we have developed emotional bonds continues eternally. We can, and do, reach out from the afterlife to those still on earth to express that love. It’s just harder to be heard above the chaos of human life. The easiest way for our deceased loved ones to communicate with us is through what we call “dreams.” I learned in the afterlife that dreams fall into three categories, one of which is not really dreaming at all. Some of our so-called dreams are literally out-of-body living. We Light Being souls within these bodies do not need rest. And it’s boring to just watch our human animal sleep. So we use our spiritual power to manifest a temporary environment, based on earth or even some other location within the universe, populate it with people, and continue to live as usual within that manifested world/dream. It is during these out-of-body living episodes that our deceased loved ones can most easily appear and speak with us–once again taking on the human form we knew and loved. All you have to do is let go of skepticism. Before you go to bed each night, form the intention to be open to contact from your loved ones in the afterlife. Then go to sleep. Keep doing it until you hear something. Time does not exist in the afterlife, so it may take a while for your loved ones to realize you are open and waiting to hear from them. How do you know the difference between a dream your imagination concocted and a real communication with someone in the afterlife? Watch for these factors: (a) the “dream” isn’t about the deceased loved one at all, or features a location where you wouldn’t expect to see that loved one, and suddenly the deceased loved one “pops” into the dream; (b) the deceased loved one simply stands or sits and talks with you instead of taking part in the action scenes; (c) the action stops so that you can have the conversation; (d) your loved one may look younger, healthier or happier than you remember her/him; (e) you have a strong emotional reaction to the conversation or feel like something of great importance has been communicated to you; and (f) you feel like something has changed within you when you wake up. [Note from Robin: I’ve read others say, and is my experience as well, that the dreams where there’s a visit, I don’t forget as I do with other dreams. Also, there’s a quality that the dream is someone more real compared to other typical dreams]. You may not remember your conversation with your visiting deceased loved one after you wake up because the human mind is designed to forget “dreams.” But you will have a lingering impression that something has changed. The change may be merely a calmness you didn’t have before going to bed, or, it could be as dramatic as a sense that you now know what to do with your life, a burning question has been answered, or sadness has been lifted. Thank you for being open to the messages I have returned from the afterlife to share. 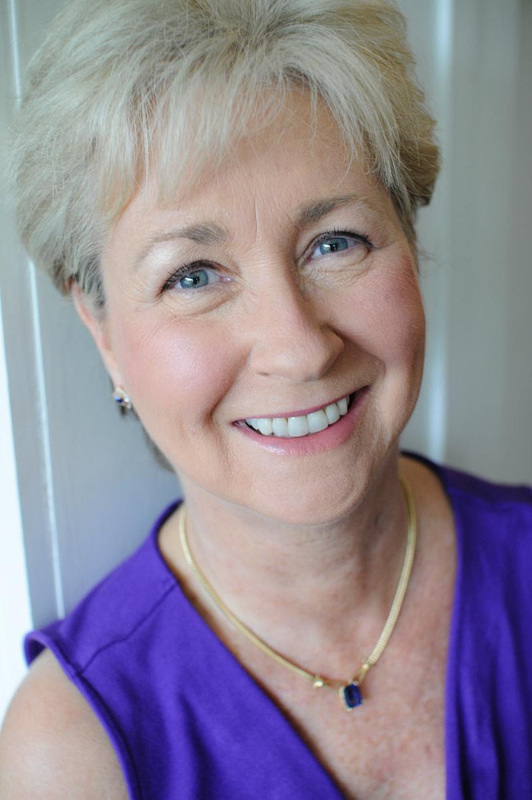 Nanci L. Danison, JD, afterlife experiencer, attorney, and author of BACKWARDS: Returning to Our Source for Answers, BACKWARDS Guidebook, BACKWARDS Beliefs: Revealing Eternal Truths Hidden in Religions, and the Light Answers to Tough Questions series of CDs and DVDs (A.P. Lee & Co., Ltd., Publishers). Visit me at www.BackwardsBooks.com or watch me on YouTube. Subscribe to this newsletter at www.BackwardsBooks.com. 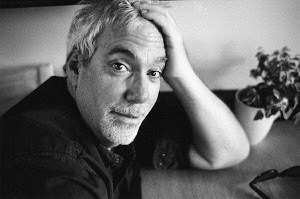 Rich Martini is a writer, filmmaker, past speaker at OC IANDS about his research into life between lives documented in his book and documentary, Flipside: Journey to the Afterlife. Today, Rich posted the following fascinating account on Facebook (and blog) about Roger Ebert, Ebert’s wife Chaz, and what happened prior to his Ebert’s passing. Enjoy. Funny how he reviewed his glimpse of the nature of reality; “It’s all a hoax.” He could have said “It’s all a movie” or “It’s all a theatrical piece” which would have been a bit more accurate (according to the research). “Hoax” implies there’s someone behind the curtain pulling the strings, and pulling something over on people. “Illusion” is accurate, but again, so is film; funny he didn’t make that connection. But when you examine the “Flipside” you find that there’s no one but you pulling the strings – albeit with help from spirit guides and other resources – but we experience events and problems in our paths because we put them there, to examine them, to learn from them – to learn compassion for others. We are directing the hoax, so to speak, and when we experience the vastness, the “stepping outside of time” that one can experience during a near death experience or under deep hypnosis, we see the past, present and future as other events to experience. And we experience the vastness, as Eben Alexander did in “Proof of Heaven” as a “glittering darkness” where we are all connected at the same moment. But don’t take my word for it; take Roger’s. Two thumbs way up. This Saturday, December 14, 2013, we are pleased to have Beverly Brodsky as our guest speaker, who will share her near-death experience resulting in a horrendous motorcycle accident. For two years, Beverly was on the Board of Directors for ACISTE (the American Center for the Integration of Spiritually Transformative Experiences), is the San Diego IANDS group leader for over 20 years. She’s also a minister in the L.A. Community Church of Religious Science, and prior to retiring, was a systems and business analyst for the federal government for 28 years. * See the bottom of this email for more information about Brad Breedlove, the teenager featured in the recent CNN special To Heaven and Back. PLEASE BRING A SWEATER OR JACKET IF THERE’S A VARIATION IN ROOM TEMPERATURE. Send your request with first and last name, and email address to robin@robinbarr.com. Indicate you’re interested in being added to the OC IANDS meeting mailing list. Teenager Ben Breedlove was one of three people featured in the special who shared their NDE’s. Thank you Donna Heim for providing this video link of the eulogy given by Ben’s sister, which adds inside information and insights to the comments made by Benjamin Breedlove: “The rest of the story”.